BLOGGERS FOR HOPE gives you support no matter what part of the journey you are taking. Our authors strive to bring you the most up-to-date information while giving the personal connection you need. Need more support? Click Here for links to other area support groups, online resources, and more! 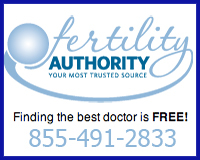 Listed below are other foundations that offer grants for both fertility treatments and/or adoption. If you know of any that are not listed, please contact us! We also encourage you to look in to see if your state offers any type of adoption assistance or may require insurance coverage of fertility treatment.